The kind of terrain most youngsters are challenging isn't exactly on par with World Cup enduro courses, but that doesn't mean it's any less intense for young legs and aspiring minds. 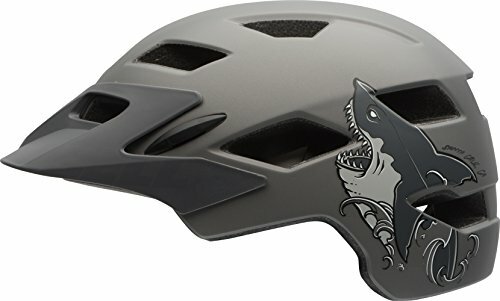 Bell's Sidetrack Helmet for youth protects smaller heads during the transition from grom ripper to enduro slayer with the same extended coverage and In-Mold shell of the adult Stoker version. The PinchGuard Buckle design and ErgoDial fit system help to guarantee they'll make that transition with noggins intact by ensuring the fit is comfortable enough that a junior shredder won't toss the helmet mid-ride.